Located on Portugal’s northwest coast, Porto is famous around the world for its port wine production. But there’s much more to this little city than a tipple or two of the region’s well known wine; visitors flock to the city year on year for its beautiful architecture, windy narrow cobbled streets and bohemian vibes. 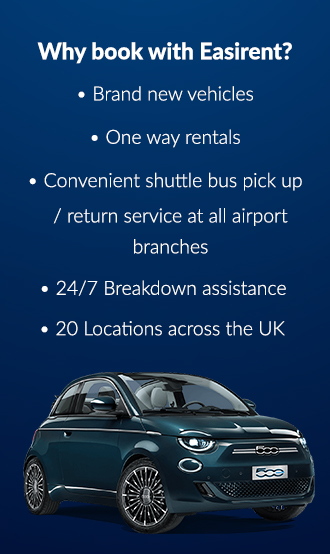 Serviced by Francisco Sa Carneiro Airport, or simply Porto Airport, it’s just an 11 kilometre (6.8 mile) drive into the city centre in your holiday hire car. The second largest Portuguese city after the capital, Lisbon, Porto has a much more relaxed feel to it and it’s built upon the banks of the Douro river – stretching all the way along to the Atlantic Ocean on the city’s west side. Dating back centuries, Porto’s historical heart has been recognised by UNESCO as a world heritage site, and the city itself has been named the Best European Destination, by the Best European Destinations Agency. Known as the city of bridges, Porto is the only city in Europe with six bridges spanning its river, and there’s plenty of opportunity in the city to see these stunning structures, built by the likes of Gustave Eiffel – famously known for designing and building Paris’s iconic Eiffel Tower. Boat tours, walking tours and tuk-tuk tours transport tourists from sight to sight to catch a glimpse of the Douro from above – and for the more daring, hop on the city’s cable car and survey the sights from the sky, as you fly past the terracotta-coloured roofs of the city. Vibrant and opulent, Porto is a kaleidoscope of culture, with stunning blue-tiled churches dating from the 14th century, rubbing shoulders with grand art deco theatres and modern high-rise buildings, green spaces, and of course – beautiful bridges. Hotels, hostels and boutique apartments are abundant in Porto, offering a range of affordable options for guests and visitors all year round. Boutique B&Bs are becoming something of a trend in Porto, partly for their affordable qualities and partly for their charm. For some alternative accommodation, check into the Casa dos Loios which rents out double rooms starting from €95 per night. The Porto Vintage Guest House, is a relatively new B&B and sits on the trendy Rua do Almado. With prices for a double room starting from €75 the Porto Vintage Guesthouse is beautifully decorated throughout, with light and airy bedrooms and clean private bathrooms, it’s the perfect place to relax after exploring the region in your holiday hire car. For a little more luxury, check into the InterContinental Porto, a five-star hotel in the heart of the city. Originally built as a monastery many centuries ago, and then a palace – the building has been repurposed once again to house the hotel. Brimming with character, the walls of the hotel are decorated with old pictures of Porto, whilst a more contemporary style of artwork adorns the walls of the bar and restaurant. Slightly more expensive than other accommodation options, but certainly worth the price hike, double rooms can be booked out from €140 per night. Described by many as a ‘home away from home’ the Mercador Guest House is a peaceful escape from the hustle and bustle of the city centre. With only seven rooms, guests can expect rooms that are themed around different Portuguese influences. Double rooms start from around €75 per night. First and foremost, foodies travelling to Porto are in for a treat – with fresh seafood on offer throughout the city, and many restaurants serve authentic Portuguese cuisine accompanied by traditional fado music – which is a melancholic type of popular music, usually performed with a guitar or mandolin. Head east of the city centre to Maus Habitos, which offers a unique dining experience – the restaurant is situated on the roof of an art deco car park on the Rua Passos Manuel 178. Park up your holiday hire car and head to the fourth floor of this trendy eatery, which serves up cheap and cheerful brunches and lunches. The space also plays host to regular art exhibitions in its Mupi Gallery, and nightly DJ sets in the bar area. For an unmissable and authentic meal in the city, head over to Ode Porto Wine House. Situated a short walk from the Douro river, Ode Porto Wine House serves some of the best locally-sourced food in the city – and every dish comes with its own story. From the bread to the cheese and meat, which is carefully served to guests by the attentive staff, the story of each item is explained as it is served. It’s easy to spend an evening inside the rustic stone walls of the Ode Porto Wine House, which really gives the impression that you’ve been invited into someone’s home, to enjoy the perfect Portuguese meal. And of course – port, the delicious fortified wine which is produced in, and takes its name from the region, is a must have when you’re in the city. Offered in almost every venue, port comes in a variety of colours, strengths and types and can be enjoyed at any time of the day. There are many port lodges over the Douro river bearing famous port producing names such as Cockburn’s, Croft and Graham’s, all of which provide tours and tasting sessions to tourists and visitors year-round. Porto has earned the title of one of Portugal’s best cities to shop in. So, whether you’re after books, boutiques, antiques or trinkets – you’re sure to stumble upon a treasure trove along one of Porto’s winding streets. Book lovers (and Harry Potter fans) must visit the Livraria Lello when they’re in Porto. Rumoured to be the inspiration for J. K. Rowling’s Hogwarts library, the Livraria Lello is a bookshop housed inside a stunning art nouveau building. Because of its popularity with tourists and visitors, the Livraria Lello has started charging a €3 entry fee, which can be redeemed against any purchase in the store. Flip through rare and unusual books in what has been described as one of the world’s most beautiful bookshops; with a sweeping red staircase and cascading shelves of books, the Livraria Lello is the perfect photo opportunity, and the perfect place to while away a couple of hours. If you’re in the market for some fresh fruit and vegetables, the Mercado do Bolhao is a colourful marketplace which is home to fruit and vegetable stores, butchers and bakers. Stop off in one of the market’s many surrounding delis for a spot of locally-sourced lunch. For more of unique boutique store selling blankets and craftware, head to Lobo Taste. Owned by local designer Paulo Lobo, the store can be found on Largo de Sao Domingos 20. Chocolate fans will want to head to the Rua do Almada and to the famous Arcadia store, Portugal’s leading chocolatier, which uses all-natural ingredients and supplies its chocolate all over the country. The Rua do Almado is also home to plenty of other stores, to keep the savvy shopper busy, including music and vinyl stores and vintage furniture shops. Books, magazines and artwork can be found in the Maria Via Com As Outras, which also plays host to regular art and music events. No two days are the same in Porto, with plenty to offer the avid city explorer, the perfect thing about Porto is that it’s walkable. There are many hidden gems in the city, from stunning cathedrals, to hidden churches, antique stores and tours to take, that you’ll be busy from the moment you get up to the moment that you go to sleep. The perfect place to start your Porto adventure is with the city’s train station. Beautiful blue tiles – known as azulejos – adorn the walls of the Sao Bento Station, telling the story of the city, and depicting some of Porto’s most prominent moments throughout history. It’s definitely one of the most beautiful train stations in Europe, and it’s free to enter, so it’s worth popping in when you’re on your travels around the town, and ticking it off your list. Swap your holiday rental car for a tram tour of the city’s best sights. Famous in the city, the vintage yellow trams chug along the windy cobbled streets, and offer a real alternative way to see the city. Jump on tram number 18 or 22 – a beautifully maintained carriage which takes on some of the city’s best sights. The line takes travellers to the Palacio do Cristal and the Foz do Douro, amongst many other iconic sights. For unparalleled views over the city head to the Clerigos Tower, which has stood proudly surveying the city for over 250 years. Steeped in history, visitors climb the narrow windy staircase to the viewing platform at the top, and can admire the tower – which was built by the Brotherhood of the Clerics, and contains an adjoining museum. Finally, a trip to Porto isn’t complete without a boat trip along the Douro river. The best way to take in the sights of all six bridges, there are many different tours that you can take. Book your tickets from one of the many tourist kiosks in the city, or buy a ticket for a boat and tuk tuk tour, from Sao Bento station.